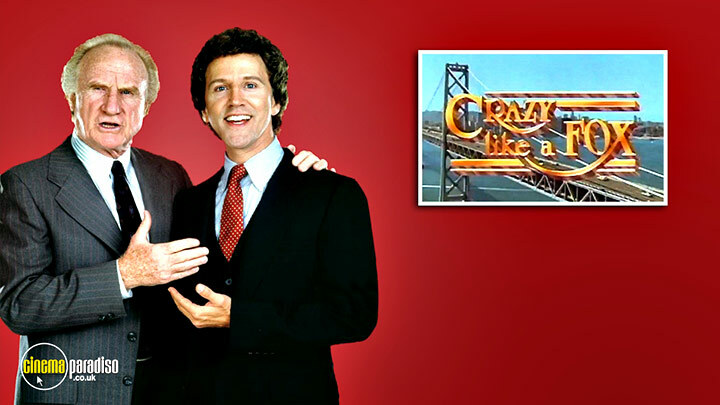 Crazy Like a Fox is an American comedy/crime/drama TV series following private eye Harrison 'Harry' Fox, Sr. (played by Jack Warden), who tries to solve various crimes together with his son – a San Francisco lawyer named Harrison Fox, Jr. (played by John Rubinstein). Other actors include Penny Peyser, Robby Kiger, and many more. Jack Warden, John Rubinstein, Penny Peyser, Robby Kiger, Jane Kaczmarek, Pat Harrington Jr., Nicholas Pryor, Barbara Rhoades, Jed Allan, Ed Lauter, Oliver Clark, Clyde Kusatsu, Joyce Van Patten, David Hedison, Lydia Lei, Scott DeVenney, et al. Rough-and-tumble private Investigator Harry Fox, Sr. (Jack Warden) solves crimes with the reluctant help of his son, respected San Francisco lawyer Harrison Fox, Jr. (John Rubinstein). Harry Fox's new client pays him to find his wife so he can kill her, since he's already served 12 years for her murder. But before he can kill her, the wife kills him in self-defense and Harry and his son the attorney have to figure out why.